Binary Top Signals is a new binary options signal service that’s “by the pros, for the pros.” According to the website these expert signals provide a 78% success rate and focus on low risk and maximizing performance. Today I’ll be providing a review so that you know if this is a trustworthy source for binary options trading signals. The developers of the binary top signals system are former hedge fund managers and top-notch programmers. They promise that there is no experience required in order to use their signals. The system works by providing 3 to 5 signals twice-daily, at the New York open and London open. In the video we are told that there is a 30 day free trial but at the bottom of the website it says that there is a dollar a day 7 day trial and then traders are charge $60 a month. I’d really like to know which one it is. If it’s a 30 day free trial then I would consider testing out some of the signals but the fact that this developer is contradicting himself makes me lose confidence in the signals. According to the website the binary top signals system is different from other binary options products because they combine automation with human analysis. This isn’t explained further so let’s get into the results. One of the odd things I’ve noticed about the trading results is shown in their videos. They show us a handful of live trades in action but when they show us the results they actually show us different trades. Not the ones they were taking. This leads me to believe that they are actually losing the trades they are showing us. This is a very odd way of putting together a product video if you ask me and the fact that they are lying to us pretty much ends this review. I’m not recommending binary top signals to any of the binary today readers. It’s clear that this developer is quite confused. They are showing us live trades with the wrong results and aren’t even sure if their own product is available for 30 day, or 7 day trial period. This product has a lot to do if they ever want to become relevant in the binary options market. Please let me know to think about this review in product by leaving a comment now. 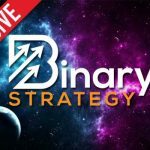 I hope that you enjoyed the review and that you spend some more time on binary today learning what works for real binary options traders.